I may not be able to wear nail polish to work... but that doesn't stop me from painting my nails for a favorite holiday on my part day off! I wanted to do something fairly quick and easy (since I only get to wear it for one day) but also fun and festive. 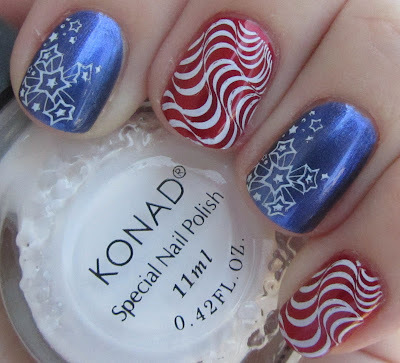 For these nails, I used two coats of either OPI An Affair in Red Square or OPI Into the Night as the base colors. 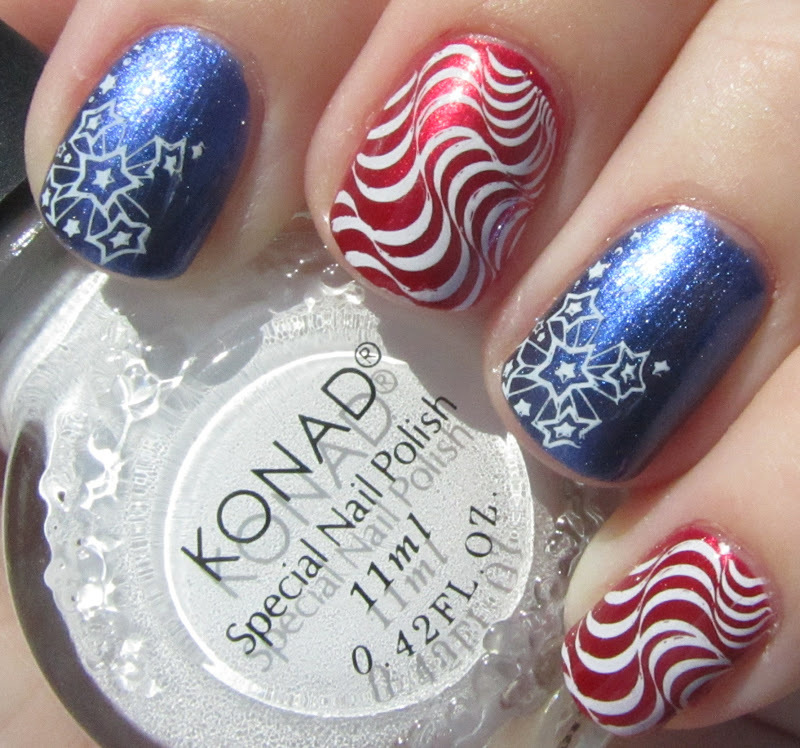 I then did stamping with Konad Special White and plates m82 (stars) and RA-106 (stripes). A quick and festive mani! Love how this one turned out! it's very amazing blog thanks for sharing it !